POGO has yet again pulled out a brand new Chhota Bheem movie from its magic hat. After witnessing overwhelming response at the box office, ‘Chhota Bheem and the Curse of Damyaan’ will premiere on June 24, 2012 at 12pm only on POGO. India’s No. 1 kids’ channel, POGO is enthralling kids and their families with a constant supply of new content and interactive elements on the channel. The latest addition to this line-up is the new Chhota Bheem movie called ‘Chhota Bheem and the Curse of Damyaan’. The plot is based on an evil sorcerer’s aim to take over the world. Damyaan an immortal sorcerer needs a kind hearted king to free him from his prison in Lanka so that he can rule the world. On an expedition to The City of Gold in Lanka, King Indravarma of Dholakpur is bewitched to set Damyaan free. Damyaan imprisons Indravarma and also Bheem and his friends when they arrive to save their king. Bheem’s only hope to escape and defeat Damyaan is the mysterious and magical ‘Book of Magi’. Will Bheem manage to free everyone using his bravery and wit or will the world be subjected to Damyaan’s wrath? This new movie is filled with action, adventure, magic, time-travel and much more to excite not only kids but also adults. Monica Tata, General Manager, Entertainment Networks, South Asia, Turner International India Pvt. Ltd. said, “Over the years, Chhota Bheem has proved to be a huge success with kids and families. 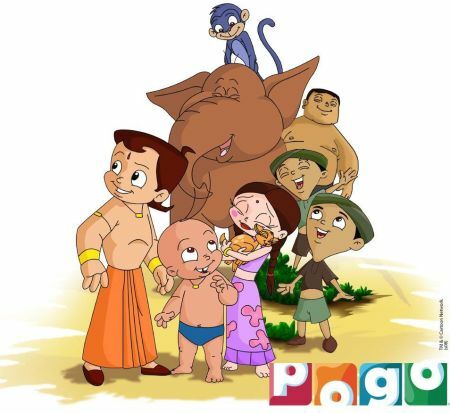 This year our strategy has been to constantly provide kids with new Chhota Bheem content be it new seasons of the show, or new movies on almost a bi-monthly basis or online engagement via www.pogo.tv. We hope kids will enjoy this movie at home as much they enjoyed it at the theaters.